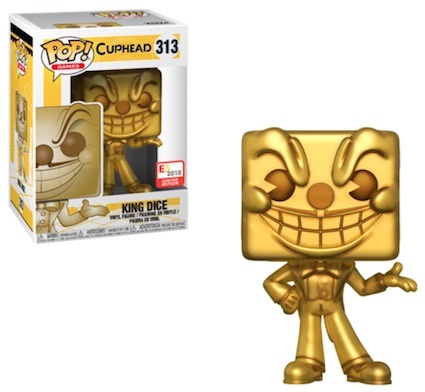 The annual video game expo enjoys added vinyl coverage via the 2018 Funko Pop E3 exclusive figures. 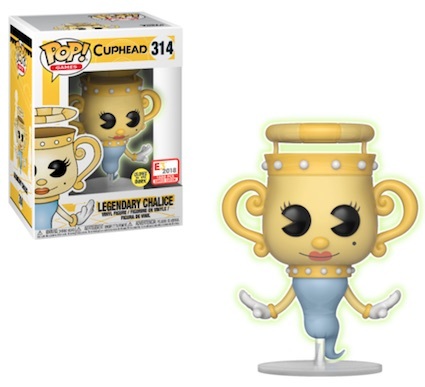 Naturally highlighting video game lines from Funko Pop!, several of the E3 2018 exclusives are also shared with GameStop. Part of a joint exhibition between Funko and GameStop, a total of five options await collectors at the Los Angeles Convention Center. 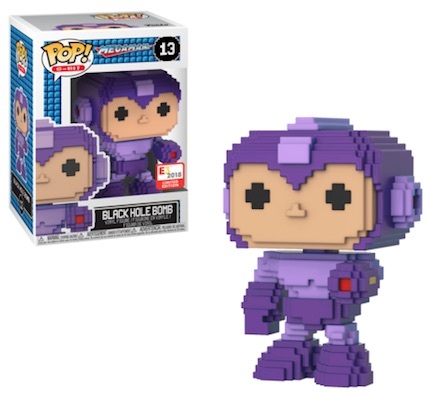 There's the 8-Bit Black Hole Bomb from Mega Man, plus Halo's Master Chief with Active Camo, and a gold King Dice from Cuphead. These three figures are also shared with GameStop retail locations. 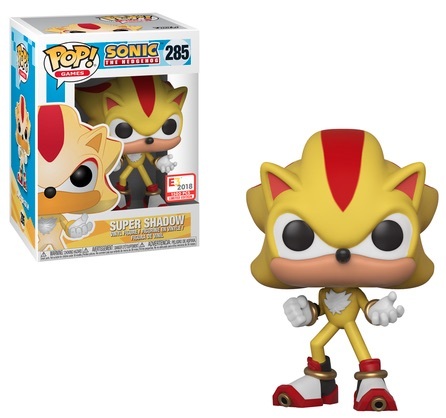 Limited to 1,500 pieces apiece, Super Shadow from Sonic the Hedgehog and Cuphead's Legendary Chalice (glow-in-the-dark) are both true 2018 Funko Pop E3 exclusive figures. For more details about E3 2018, taking place from June 12 to 14, visit their official website. 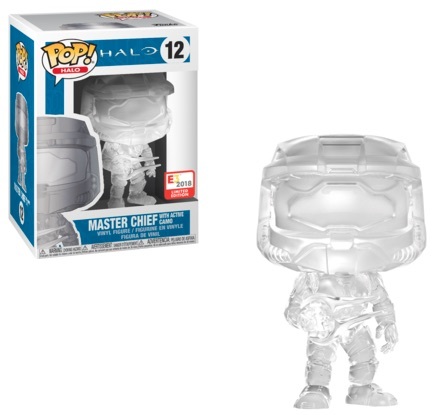 The 2018 Funko Pop E3 exclusive figures are found at booth #2713.